Did you know collagen comes from the Greek word kolla meaning glue! Collagen is not only a vital “glue” to help our skin look good as we age, but also to make our bodies feel stronger too! Basically, collagen is good stuff! We need to get it in our diet to help our bodies which is breaking down our existing supply & trying to make new collagen for us too. You may or may not already know, but I LOVE my cups of Bulletproof Coffee in the morning! 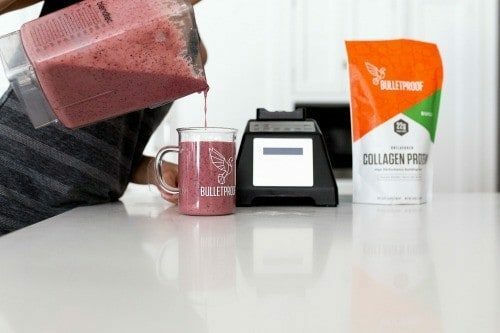 One of those ingredients I highly recommend you experiment with adding into your coffee is Bulletproof collagen or Bulletproof CollaGelatin. I’ll explain why below. 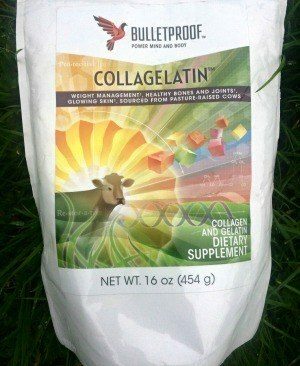 Collagen is the most abundant protein in our bodies. 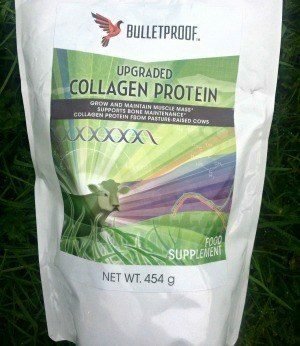 You can read all about the benefits of getting more collagen protein into our bodies further down this page. Now I know it can be daunting and confusing deciding which bag to buy. Both are going to give you a decent amount of collagen protein per serving. The tl;dr is that the smooth mouth feel effect is a major factor why I enjoy one over the other. The CollaGeltin is my personal favourite one because when I blend my coffee in the morning with it the taste is just awesome! The gelatin is the key to creating that luxurious, smooth mouth feel for me. Now I know this is going against the grain as some may say adding gelatin to coffee makes it too thick; I like it though. ???? 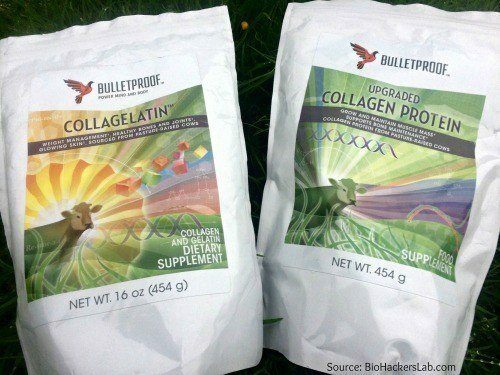 You can add both collagens to coffee or tea to beef them up (sorry bad pun). You can also make a morning smoothie to give you a liquid meal to help support your building blocks for the day. Man I do love that delicate, silky feeling sipping on the already creamy coffee that I get when I add the CollaGelatin. I normally add half of the scoop that comes with the bag into the good blender when I whizz it all up. The only downfall with my technique is I can get bits of the precious gelatin stuck on the side of the blender jar. So I use a spatula to help gather it up of the sides to make sure I get it all. Either are great for adding to different Bulletproof Diet book recipes, to help enhance your dishes. The CollaGelatin helps the thickening effect in your homemade sauces, soups & other dishes better though. Now making my coffee taste better is important, but that is not the only reason I love it so much. 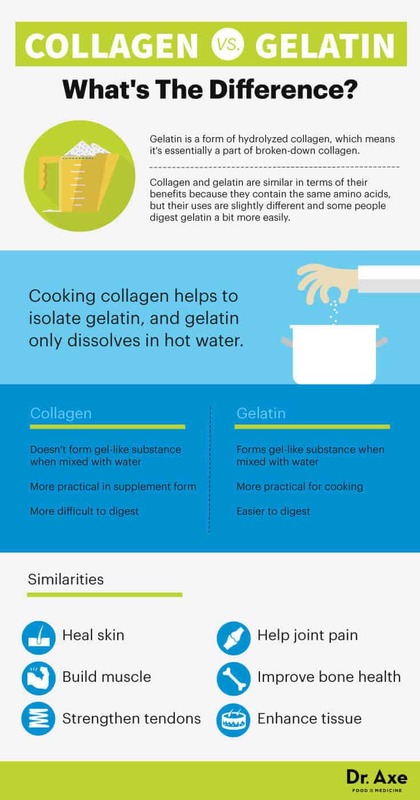 Below other reasons why you want more gelatin, collagen plus the easy to understand difference between the two. Gelatin contains a higher amount of glycine and proline in its amino acid profile. Glycine & proline are mentioned in the benefits of collagen too, so you can read the other good effects the help aid. I normally take mine in the morning, so the improved sleep benefit is not my targeted biohack. It might be best to take collagen at night before bedtime though. I prefer using glasses that block blue light at night. The food we eat should provide a ton of nutrients for our bodies. Unfortunately too many people either don’t have access to or choose not to eat enough high quality grass-fed beef. As we get older our bodies natural collagen production declines and the collagen we have starts degrading. This is a reason why skin ages & gets wrinkles. However, many dermatologists and skin beauty biohackers know that one way to support healthy looking skin is to get enough collagen in your diet. The have even studied the benefits of taking supplemental collagen for improving skin and being an anti-aging supplement. (3) Plus making our teeth and nails nice and strong too, which is always a sign of good health. Irritable bowel syndrome, leaky gut syndrome, Chron’s disease, ulcerative colitis. These are some common inflammatory bowel conditions that a lot of people seem to suffer with everyday. In fact, people with IBS show reduced serum collagen type IV on testing. (7) Especially since we know that gluten disturbs the tight lining of the intestinal wall & assists in making it “leaky”. This is where collagen helps “glue” the walls of your intestines to keep them strong and functioning well. We need to help maintain our lean muscle mass as we head into our twilight years. Having adequate lean muscle not only helps keep us physically strong it is also designed to assist our metabolism and ability to burn calories. (8) Glycine is one of the amino acids in collagen. Glycine is very important for helping make muscle tissue by converting glucose into energy which in turn fuels our muscle cells. Our livers are super important for helping the body to detox and get rid of toxins. Good old glycine looks to be good to help protect the liver, even, damaged ones like non-alcoholic fatty liver disease. (9) Just another reason to get the slow cooker on and make sure you get down some high quality bone broth or add some Bulletproof collagen powder to a meal. We have lots of different types of collagen in our bodies, probably about 16 types. Type II Collagen – found in cartilage & vitreous humor of the eye. Type III Collagen – found skin, muscle & blood vessels. Listen to protein researcher Prof. Stuart Phillips explain how much protein we all should get per day to avoid losing lean muscle mass as we get older. Listen to carnivore diet advocate Dr Shawn Baker explain the benefits of eating just meat and drinking water to stay healthy. Check our review of grass fed whey protein powders.